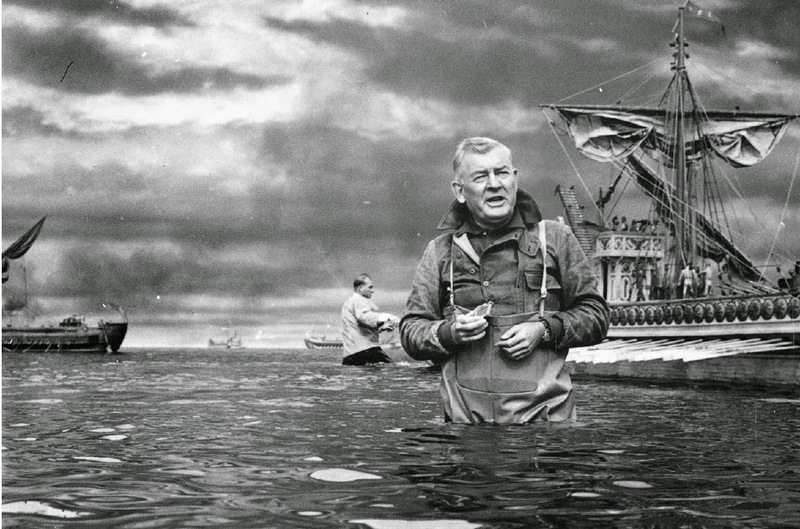 Special effects legend A. Arnold Gillespie in the model tank set of Ben-Hur (1959). The biblical epic’s effects earned an Oscar – one of the film’s record 11 Academy Awards. Gillespie also lent his talents to The Wizard of Oz, North by Northwest and Forbidden Planet. Pic courtesy of the fantastic blog Matte Shot – A Tribute To Golden Era Special FX.